We all know how important smartphone have become in our life. They have almost replaced laptops for personal use. Apps become an inevitable part of smartphones, almost every Web application has an app. Apps make our life easier and provide an on-the-go option. 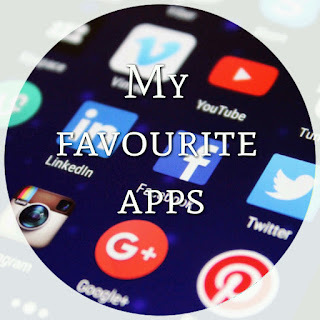 Today we will be discussing 4 most used apps for blogging by me. I use these apps for image editing and hope the information is useful to you. Apps are sorted based on favourite meter. I cannot thank enough the makers of this app. The app is so useful in making your own customised images, especially for a DIY post or watermarking images with your blog name. The fonts available for image imprints have a wide range of variety right from professional fonts to comic to cute and are of superior quality. The filters available are not so appealing. It also has shape imprints, picsart imprints which I find very useful. The only problem with the app is the intermittent ads which pop up whenever we are about to exit. There is no option to add transparent background to the image if the image is wee bit small. The app makes it to my number one position. Picsart is an app I cannot live without. 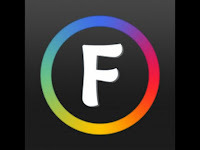 It has almost everything frames, collage, picsart, fonts, filters. I mostly use this app to watermark my images via callouts. 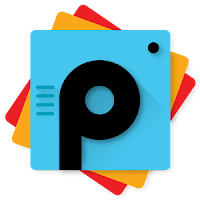 The picsart available are cute and can be used to make giveaway or winner announcements. They also make packages available for download such as spring frame packages which once downloaded can be used via the app. The app is also useful for creating before after images. The filters are not so appealing and the font fill colour combinations are not so good. That is the only thing I don't like. 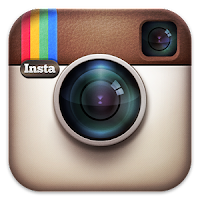 Now you would say how Instagram will help in editing the images. I am taking about the Instagram filters here. They have some really good filters and if you want to add one, apply one and the image gets saved on your smartphone for later use. Photo Editor I started using recently. The app is a little difficult to use. But once you get a jest of it, it's easy to use. Mostly I use for cropping the image. If at all we want to crop a desired section of image it allows us to do so. The watermarking effect is amazing of this app, but watermark I mean the literally meaning of it. So this was a list of my most used photo editing apps for blogging. Pour in your suggestions and recommendations.